The 2018 Honda Civic and the 2018 Ford Focus are both great sedans for drivers looking for a vehicle for their commute. At Norm Reeves Honda Superstore Huntington Beach, we want to help drivers in the Long Beach, Cerritos, and Newport Beach areas to find the car that’s right for them. Read more to learn about how the Honda Civic and Ford Focus compare in their fuel efficiency and features. While the Focus is certainly efficient with its fuel, it falls short against the Honda Civic. If you’re looking to maximize the fuel efficiency of your commute, the Honda Civic has the edge here. The 2018 Ford Focus offers Lane Keeping Assist with BLIS® blind spot alert so you don’t run into other cars while changing lanes. The Honda Civic offers these features as well as a Collision Mitigation Braking System™ (CMBS™). With the CMBS™ your vehicle will alert you if you are approaching a vehicle from behind and employ emergency braking maneuvers if you get too close. The Ford Focus provides great active safety capabilities that look out for you while you drive. The Honda Civic is more well suited for keeping you safe on the roads so you feel comfortable while driving. 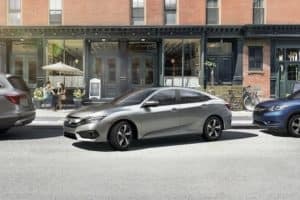 With the 2018 Honda Civic, even if you find yourself momentarily distracted on your way to work, your vehicle will brake for you to prevent an accident. The Ford Focus is a spacious sedan with a passenger volume of 90.7 cubic feet. The Honda Civic increases that with a maximum passenger volume of 97.8 cubic feet. However, you may be wondering how that translates into leg room. In terms of leg room, the Ford Focus provides 33.2 inches of rear legroom. The Honda Civic offers 37.4 inches of rear legroom. In the Honda Civic, you’ll find this compact sedan doesn’t sacrifice interior space for a low profile. Your passengers will be pleased to have the extra room to breathe. If you’re looking for a spacious sedan for you as well as your passengers, the Honda Civic has the upper hand. 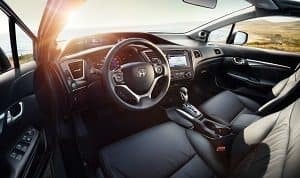 With a roomier cabin overall and noticeably more legroom for passengers, the Honda Civic is a more comfortable choice for long drives. If you’re looking for a fuel-efficient sedan that will improve your commute, the 2018 Ford Focus is a good choice. If you want to maximize your MPG potential, all with a safer, more spacious vehicle, than the 2018 Honda Civic is the choice for you. 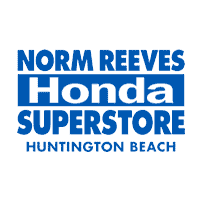 At Norm Reeves Honda Superstore Huntington Beach, we want drivers in the Long Beach, Cerritos, and Newport Beach areas to get the most out of their vehicles. If you’re interested in the 2018 Honda Civic, schedule a test drive with us online or over the phone today!